This is a summary of each state’s laws as it pertains to either a landlord or tenant providing notice to terminate a month-to-month tenancy. Please note: These time frames are not used for holding over or other tenancy violations which may require different time frames and conditions, see State Eviction Laws for Curable Violations or State Eviction Laws for Incurable Violations. Maryland 1 month; 2 months if property located in Montgomery County (except single-family residences) or in Baltimore City. 1 month; 2 months if property located in Montgomery County (except single-family residences) or in Baltimore City. 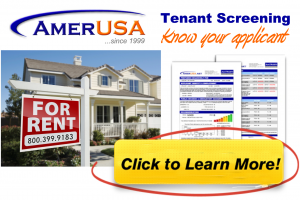 Massachusetts 30 days or the time frame is between rental payments, whichever is longer. 30 days or the time frame is between rental payments, whichever is longer. Michigan Time frame between rental payments. Time frame between rental payments. Minnesota 3 months or time frame between rental payments, whichever is shorter. 3 months or time frame between rental payments, whichever is shorter. North Dakota 30 days 30 days; if landlord has notified tenant of a change in lease terms, then 25 days from date of notification. South Dakota 1 month 1 month; if landlord has notified tenant of a change in lease terms, then 15 days from date of notification.